The most convenient is to send me the text electronically; however I am of course happy to receive hard copies as well. All additional information and references (i.e. previous translations, existing terminology lists and the like) are welcome and of great help to ensure you receive the best translation possible. In order to keep the translation consistent, I’m using various CAT-tools (Computer Aided Translation) and am compiling glossaries for each project. 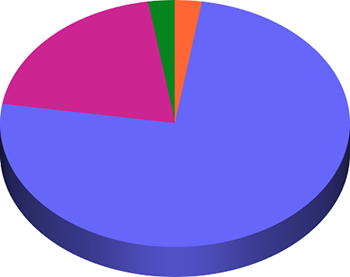 The pie chart below illustrates my working process. Please also read the Terms and Conditions for a better idea about how I work!